Working out without doing a proper amount of stretching beforehand is dangerous and inadvisable. Pre-workout stretches using this Double Station Stretching Post are a great way to loosen up crucial muscles so that they don’t get injured during exercise. This versatile piece of equipment can be used to perform a variety of stretches on arm, leg, back, and other muscles. This cleverly designed post has a curving bar with three horizontal straight sections at various heights. This allows any user to find the one most appropriate to their own height. 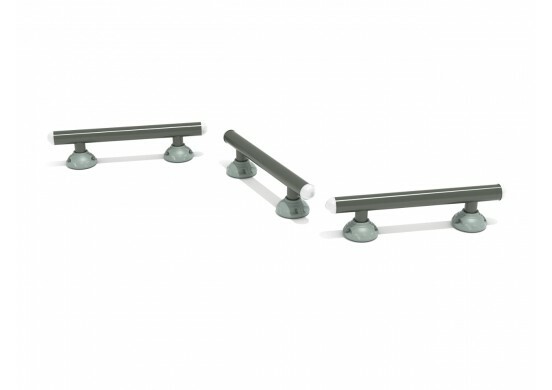 While holding onto the bar, the user can perform a variety of different stretches. 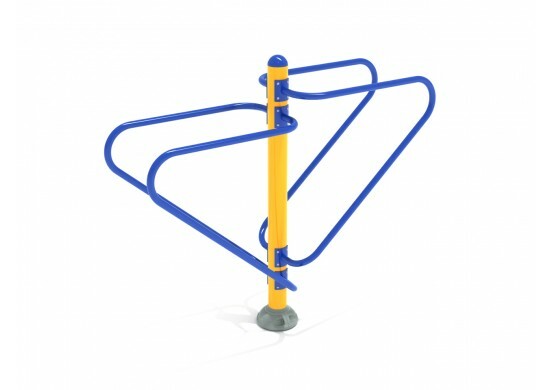 The center post is fortified to resist any amount of force applied to it, allowing users to confidently lean their full weight against it. 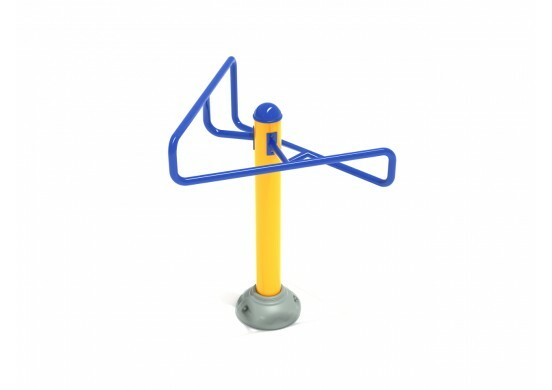 The Double Station Stretching Post is a simple, but highly beneficial improvement to any outdoor fitness area.